Alas: Our courts are so crucial which have no judgement of sense of deprived peoples. They care the peoples on strike but suffering peoples have no right for justice. May Allah help us. Dont worry.Allah is great.He wll help us. Abid dear, your comments does not relates with our hopes,rights and decisions of Govt. and the case of deprived stenos etc. Comments should be clear and concise and courage-able to all colleagues not confused. So far as credibility is concern to all because we have choose Mr.Khalid for this purpose. This is a time of results not talks and comments. I always says please try to put it in Media, but this side is very poor/non this time. Wakaee kafi dino se koi update nahi aa rahi. Me to samjha tha k shaid ye site hi change ho gai he ya bank ho gai he.. Shukar he k abhi tak rabita chal raha he. Aga kisi dost k pass koe update ya achi khabar ho to please share karey. AOA, Rahim Bakhsh bhai, asal main deprived ka interest baqi hay is leya baqi dost aram kar rahay hain. Ab mulki change a gai hay dekhain in ki kia policy hoti hay dua krain Allah hi hay jo madad kray yeh log mulazmeen kay dushman hain. Riaz Sb. ki taraf se bhi koi hosla afza bat samney nahi aa rahi lagta he jaisey Khalid Sb. tamam dostoon sy naraz hein. Dear Khalid Riaz AOA Aap ki bat 100% drust he. Tamam colleagues to financial help kerni chahye. 01.07.2007 se one increment ka case kafi mukhtalif he aur is me court janey ki zaroorat nahi. Pay Scales 2007 mein manufacturing fault he jo sirf aur sirf Finance Division ne hal kerna he. Calculation ka masla he aur ye anomaly increment unhoon ne approve kerni he. Is se taman dostoon ka faida ho ga jo 2007 me BS-16 me 20th Stage ya above per pay ley rahey they. Aap se request he k Finance Division me is case ko kisi APS k zimay lagaen. Finance Division k tamam Assistant Private Secretaries sahiban se bhi request he wo apni Zati koshish se is case me anomaly approve karain takey ziada se ziada dostoon ko faida ho. 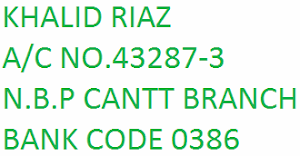 Dear Khalid Riaz God bless u. I am also a stenographer of Selection Grade BPS-15. I really disappointed for injustice with selection grade stenographers (BPS-15). I am sorry to say that we have been depriving from upgradation which is unjustified decision of the concerned authorities. We have been serving in selection grade BPS-15 since long. We have to fight for our right. I request ur kind honour to help us and lodge a writ petition in Honourable Hight/Supreme Court for justice. We all should share the expenses which will be occurred on the case. Your kind help & cooperation will be highly appreciated. Stenographer, Univ. of Agri., Faisalabad. All the deprived stenos in service are requested to kindly give financial contribution to Khalid Bhai to enable him to pursue the cases of deprived and others as well. So far as the retired stenos are concerned they should also contribute after getting any benefit of upgradation. Because they are not even got benefit of a penny,gazetted,re-designation and fixation of pay. 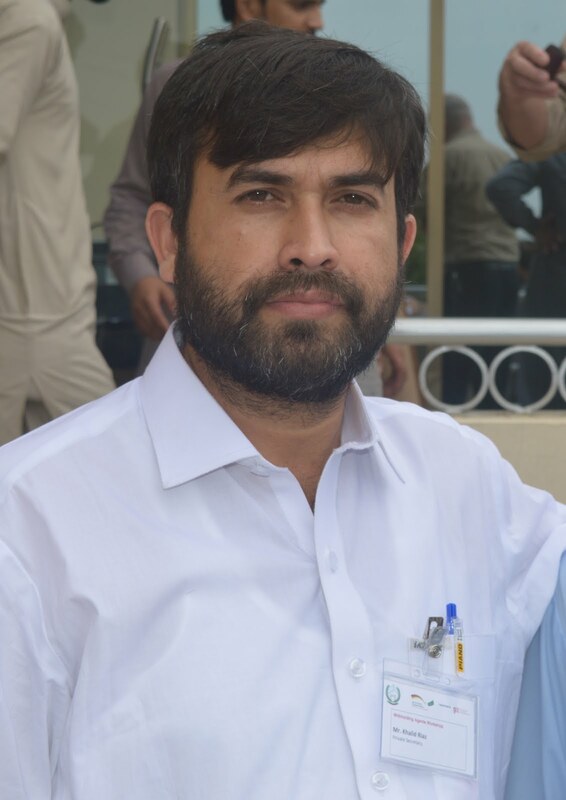 Dear Sabir Chauhan Suhaib ,AOA,baray ursa kay bad app kay comments dek kar boot dili khushi hoi,Khalid Riaz Bahi kay ham boot mashkoor hain aur inshallah joo ham say contribution hogi istatat kay mutabiq zaroor karain gay,umeed hay in future premature increment ka masla bhee 1.7.2013,koo hal hoojay gaa,aur BPS-17,ka bhee masla Honourable Chief Justice of Supreme Court of pakistan karay gaa,qunkay in pakistani politicians per koi barosa nahi,yay sirf apnay pocket barany kay sawa kuch nahi karatay.Aik he umeed H.C.J.of Pakistan say hay kay woo zaroor insaf kay mutabiq ham deprieved stenogrpahers koo unka haq delwa dain gaay. AOA. aj FSt mian hearing thi us ka kia baba, koi khabar ho to share karna. Judge Sahib hon ya Establishment walaly clear cut orders nain kartay confusion paida kar detay hain. Halan k in ko 23.12.2011 ko hi clear karna chaya tha ko selection grade walon ko next grade dia jata hay maga r nain dia jis ki waja say masalil paida owy hain. Bs Allah in ko hidayat day.